hello, i added the voice recorder app on my form. 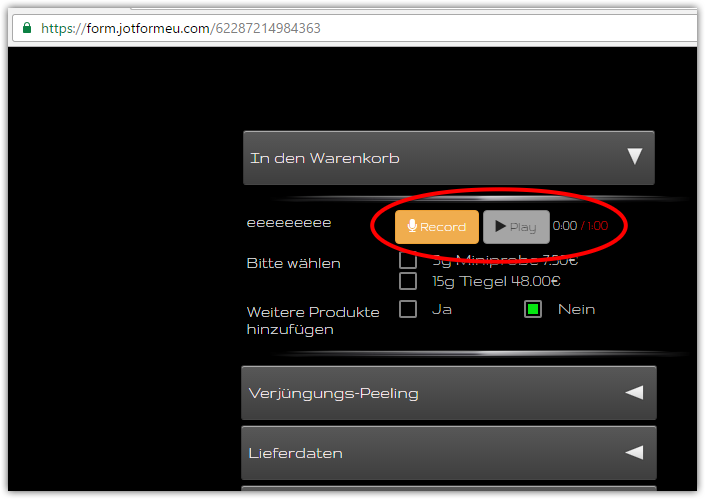 i can see teh recorder on the edit windwos, but if open the form on my website, the voice recorder is not visible. Now, I noticed you mentioned "but if open the form on my website, the voice recorder is not visible"
Can you please give us the page/URL where you embedded the form? Before you get back to us though, can you at least try re-embedding the form using the iframe embed method (without the script tags) instead. 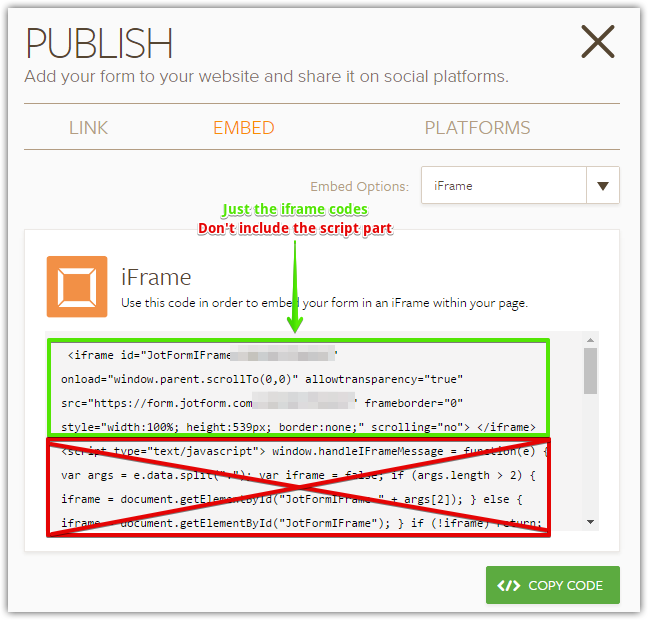 Using the iframe code will prevent any script conflicts with your website's existing script (if any) that might be causing the problem. After giving it a try and you still can't see the Voice Recorder widget, then please get back to us with your website's URL where your form was embedded so we can have a better look.